Arable Land within the Berrenda Mesa Irrigation District (Owner is current on district fees and taxes). 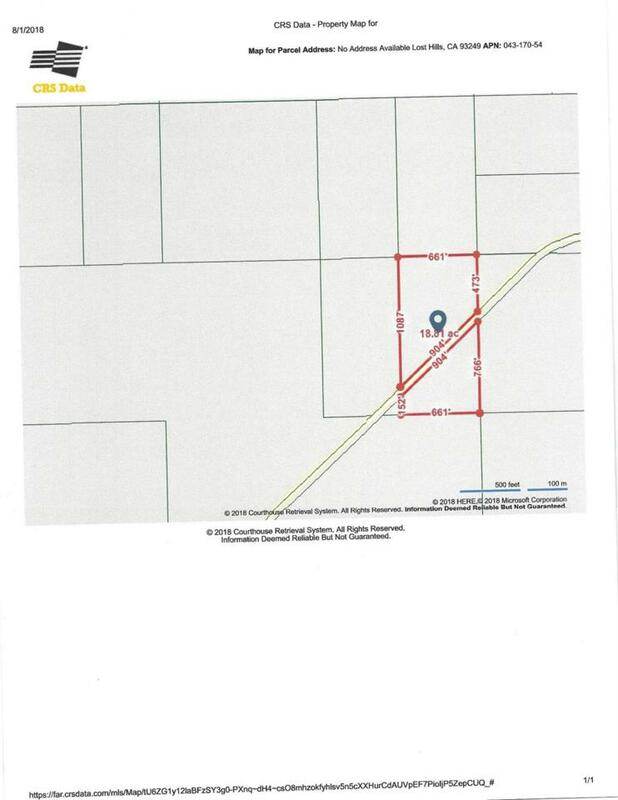 Property Type: Farm, Farm Land Use: Irrigated or Dry, Lot Dim/Acres: 18.81. Owner to transfer all known ownership in parcel's mineral and water rights upon sale. Parcel dissected by Kecks Road.